Plymouth is a city on the south coast of Devon, England, about 37 miles (60 km) south-west of Exeter and 190 miles (310 km) west-south-west of London. It lies between the mouths of the rivers Plym to the east and Tamar to the west, where they join Plymouth Sound to form the boundary with Cornwall. Plymouth's early history extends to the Bronze Age, when a first settlement emerged at Mount Batten. This settlement continued as a trading post for the Roman Empire, until it was surpassed by the more prosperous village of Sutton founded in the ninth century, now called Plymouth. In 1620, the Pilgrim Fathers departed Plymouth for the New World and established Plymouth Colony – the second English settlement in what is now the United States of America. During the English Civil War, the town was held by the Parliamentarians and was besieged between 1642 and 1646. The city is home to 264,200 (mid-2016 est.) people, making it the 30th-most populous built-up area in the United Kingdom and the second-largest city in the South West, after Bristol. It is governed locally by Plymouth City Council and is represented nationally by three MPs. Plymouth's economy remains strongly influenced by shipbuilding and seafaring including ferry links to Brittany (Roscoff and St Malo) and Spain (Santander), but has tended toward a service-based economy since the 1990s. It has the largest operational naval base in Western Europe – HMNB Devonport and is home to Plymouth University. Upper Palaeolithic deposits, including bones of Homo sapiens, have been found in local caves, and artefacts dating from the Bronze Age to the Middle Iron Age have been found at Mount Batten, showing that it was one of the main trading ports of the country at that time. An unidentified settlement named TAMARI OSTIA (mouth/estuaries of the Tamar) is listed in Ptolemy's Geographia and is presumed to be located in the area of the modern city. 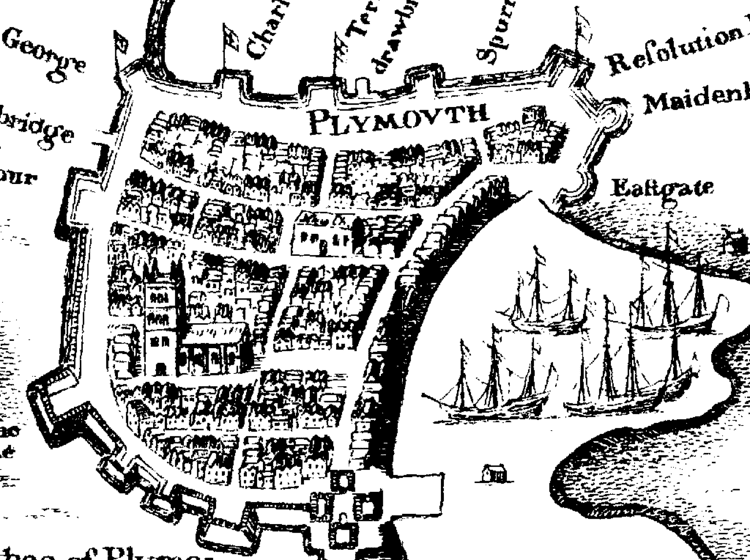 During the English Civil War Plymouth sided with the Parliamentarians and was besieged for almost four years by the Royalists. The last major attack by the Royalists was by Sir Richard Grenville leading thousands of soldiers towards Plymouth, but they were defeated by the Plymothians at Freedom Fields Park. The civil war ended as a Parliamentary win, but monarchy was restored by King Charles II in 1660, who imprisoned many of the Parliamentary heroes on Drake's Island. Construction of the Royal Citadel began in 1665, after the Restoration; it was armed with cannon facing both out to sea and into the town, rumoured to be a reminder to residents not to oppose the Crown. Mount Batten tower also dates from around this time. The 1-mile-long (2 km) Breakwater in Plymouth Sound was designed by John Rennie in order to protect the fleet moving in and out of Devonport; work started in 1812. Numerous technical difficulties and repeated storm damage meant that it was not completed until 1841, twenty years after Rennie's death. In the 1860s, a ring of Palmerston forts was constructed around the outskirts of Devonport, to protect the dockyard from attack from any direction. By 1964 over 20,000 new homes had been built, transforming the dense overcrowded and unsanitary slums of the pre-war city into a low density, dispersed suburbia. Most of the city centre shops had been destroyed and those that remained were cleared to enable a zoned reconstruction according to his plan. In 1962 the modernist high rise of the Civic Centre was constructed, an architecturally significant example of mid-twentieth century civic slab-and-tower set piece. The Plymouth City Council allowed it to fall into disrepair but it was grade II listed in 2010 by English Heritage to prevent its demolition. Post-war, Devonport Dockyard was kept busy refitting aircraft carriers such as the Ark Royal and, later, nuclear submarines. New light industrial factories were constructed in the newly zoned industrial sector, attracting rapid growth of the urban population. The army had substantially left the city by 1971, after barracks were pulled down in the 1960s. But the city remains home to the 42 Commando of the Royal Marines. In 1945, Plymouth-born Michael Foot was elected Labour MP for the war-torn constituency of Plymouth Devonport and after serving as Secretary of State for Education and responsible for the 1974 Health and Safety at Work Act, went on to become one of the most distinguished leaders of the Labour party. The River Plym, which flows off Dartmoor to the north-east, forms a smaller estuary to the east of the city called Cattewater. Plymouth Sound is protected from the sea by the Plymouth Breakwater, in use since 1814. In the Sound is Drake's Island which is seen from Plymouth Hoe, a flat public area on top of limestone cliffs. The Unitary Authority of Plymouth is 79.83 square kilometres (30.82 sq mi). The topography rises from sea level to a height, at Roborough, of about 509 feet (155 m) above Ordnance Datum (AOD). On 27 April 1944 Sir Patrick Abercrombie's Plan for Plymouth to rebuild the bomb-damaged city was published; it called for demolition of the few remaining pre-War buildings in the city centre to make way for their replacement with wide, parallel, modern boulevards aligned east–west linked by a north–south avenue (Armada Way) linking the railway station with the vista of Plymouth Hoe. A peripheral road system connecting the historic Barbican on the east and Union Street to the west determines the principal form of the city centre, even following pedestrianisation of the shopping centre in the late 1980s, and continues to inform the present 'Vision for Plymouth' developed by a team led by Barcelona-based architect David MacKay in 2003 which calls for revivification of the city centre with mixed-use and residential. In suburban areas, post-War prefabs had already begun to appear by 1946, and over 1,000 permanent council houses were built each year from 1951–57 according to the Modernist zoned low-density garden city model advocated by Abercrombie. By 1964 over 20,000 new homes had been built, more than 13,500 of them permanent council homes and 853 built by the Admiralty. Plymouth is home to 28 parks with an average size of 45,638 square metres (491,240 sq ft). Its largest park is Central Park, with other sizeable green spaces including Victoria Park, Freedom Fields Park, Alexandra Park, Devonport Park and the Hoe. Along with the rest of South West England, Plymouth has a temperate oceanic climate (Köppen Cfb) which is generally wetter and milder than the rest of England. This means a wide range of exotic plants can be grown. The annual mean temperature is approximately 11 °C (52 °F). Due to the modifying effect of the sea the seasonal range is less than in most other parts of the UK. As a result of this summer highs are lower than points further north in the UK; however, the coldest month of February has mean minimum temperatures as mild as between 3 and 4 °C (37 and 39 °F). Snow is rare, not usually equating to more than a few flakes, but there have been exclusions, namely the European winter storms of 2009-10 which, in early January, covered Plymouth in at least 1 inch (2.5 cm) of snow; more on higher ground. Another period of notable snow occurred from 17–19 December 2010 when up to 8 inches (20 cm) of snow fell through the period – though only 2 inches (5.1 cm) would lie at any one time due to melt. Over the 1961–1990 period, annual snowfall accumulation averaged less than 7 cm (3 in) per year. July and August are the warmest months with mean daily maxima over 19 °C (66 °F). Typically, the warmest day of the year (1971–2000) will achieve a temperature of 26.6 °C (80 °F), although in June 1976 the temperature reached 31.6 °C (89 °F), the site record. On average, 4.25 days of the year will report a maximum temperature of 25.1 °C (77 °F) or above. During the winter half of the year, the coldest night will typically fall to −4.1 °C (25 °F) although in January 1979 the temperature fell to −8.8 °C (16 °F). Typically, 18.6 nights of the year will register an air frost. The University of Plymouth enrolls 23,155 total students as of 2015/16 (30th largest in the UK out of 166). It also employs 3,000 staff with an annual income of around £160 million. It was founded in 1992 from Polytechnic South West (formerly Plymouth Polytechnic) following the Further and Higher Education Act 1992. It has a wide range of courses including those in marine focused business, marine engineering, marine biology and Earth, ocean and environmental sciences, surf science, shipping and logistics. The university formed a joint venture with the fellow Devonian University of Exeter in 2000, establishing the Peninsula College of Medicine and Dentistry. The college is ranked 8th out of 30 universities in the UK in 2011 for medicine. Its dental school was established in 2006, which also provides free dental care in an attempt to improve access to dental care in the South West. Plymouth is home to the Marine Biological Association of the United Kingdom (MBA) which conducts research in all areas of the marine sciences. The Plymouth Marine Laboratory is an offshoot of the MBA. Together with the National Marine Aquarium, the Sir Alister Hardy Foundation for Ocean Sciences, Plymouth University's Marine Institute and the Diving Diseases Research Centre, these marine-related organisations form the Plymouth Marine Sciences Partnership. The Plymouth Marine Laboratory, which focuses on global issues of climate change and sustainability. It monitors the effects of ocean acidity on corals and shellfish and reports the results to the UK government. It also cultivates algae that could be used to make biofuels or in the treatment of waste water by using technology such as photo-bioreactors. It works alongside the Boots Group to investigate the use of algae in skin care protects, taking advantage of the chemicals they contain that adapt to protect themselves from the sun. From the 2011 Census, the Office for National Statistics published that Plymouth's unitary authority area population was 256,384; 15,664 more people than that of the last census from 2001, which indicated that Plymouth had a population of 240,720. The Plymouth urban area had a population of 260,203 in 2011 (the urban sprawl which extends outside the authority's boundaries). The city's average household size was 2.3 persons. At the time of the 2011 UK census, the ethnic composition of Plymouth's population was 96.2% White (of 92.9% was White British), with the largest minority ethnic group being Chinese at 0.5%. The white Irish ethnic group saw the largest decline in its share of the population since the 2001 Census (-24%), while the Other Asian and Black African had the largest increases (360% and 351% respectively). This excludes the two new ethnic groups added to the 2011 census of Gypsy or Irish Traveller and Arab. The population rose rapidly during the second half of the 19th century, but declined by over 1.6% from 1931 to 1951. The A38 dual-carriageway runs from east to west across the north of the city. Within the city it is designated as 'The Parkway' and represents the boundary between the urban parts of the city and the generally more recent suburban areas. Heading east, it connects Plymouth to the M5 motorway about 40 miles (65 km) away near Exeter; and heading west it connects Cornwall and Devon via the Tamar Bridge. Regular bus services are provided by Plymouth Citybus, Stagecoach South West and Target Travel. There are three Park and ride services located at Milehouse, Coypool (Plympton) and George Junction (Plymouth City Airport), which are operated by Stagecoach South West. The city's airport was Plymouth City Airport about 4 miles (6 km) north of the city centre. The airport was home to the local airline Air Southwest, which operated flights across the United Kingdom and Ireland. In June 2003, a report by the South West RDA was published looking at the future of aviation in the south-west and the possible closure of airports. It concluded that the best option for the south-west was to close Plymouth City Airport and expand Exeter International Airport and Newquay Cornwall Airport, although it did conclude that this was not the best option for Plymouth. In April 2011, it was announced that the airport would close, which it did on 23 December. FlyPlymouth has put forward plans to reopen the city airport by 2018, which would provide daily services to various destinations including London. Plymouth has about 150 churches and its Roman Catholic cathedral (1858) is in Stonehouse. The city's oldest church is Plymouth Minster, also known as St Andrew's Church, (Anglican) located at the top of Royal Parade—it is the largest parish church in Devon and has been a site of gathering since AD 800. The city also includes five Baptist churches, over twenty Methodist chapels, and thirteen Roman Catholic churches. In 1831 the first Brethren assembly in England, a movement of conservative non-denominational Evangelical Christians, was established in the city, so that Brethren are often called Plymouth Brethren, although the movement did not begin locally. Built in 1815, Union Street was at the heart of Plymouth's historical culture. It became known as the servicemen's playground, as it was where sailors from the Royal Navy would seek entertainment of all kinds. During the 1930s, there were 30 pubs and it attracted such performers as Charlie Chaplin to the New Palace Theatre. It is now the late-night hub of Plymouth's entertainment strip, but has a reputation for trouble at closing hours. The city's main theatres are the Theatre Royal (1,315 capacity), its Drum Theatre (200 capacity), and its production and creative learning centre, The TR2. The Plymouth Pavilions has multiple uses for the city staging music concerts, basketball matches and stand-up comedy. There are also three cinemas: Reel Cinema at Derrys Cross, Plymouth Arts Centre at Looe Street and a Vue cinema at the Barbican Leisure Park. The Plymouth City Museum and Art Gallery is operated by Plymouth City Council allowing free admission – it has six galleries. The Plymouth Athenaeum, which includes a local interest library, is a society dedicated to the promotion of learning in the fields of science, technology, literature and art. From 1961 to 2009 it also housed a theatre. Plymouth is home to Plymouth Argyle F.C., who play in the third tier of English football league known as Football League One. The team's home ground is called Home Park and is located in Central Park. It links itself with the group of English non-conformists that left Plymouth for the New World in 1620: its nickname is "The Pilgrims". The city also has four Non-League football clubs; Plymouth Parkway F.C. who play at Bolitho Park, Elburton Villa F.C. who play at Haye Road, Vospers Oak Villa F.C. who play at Weston Mill and Plymstock United F.C. who play at Deans Cross. All four clubs play in the South West Peninsula League. Since 1973 Plymouth has been supplied water by South West Water. 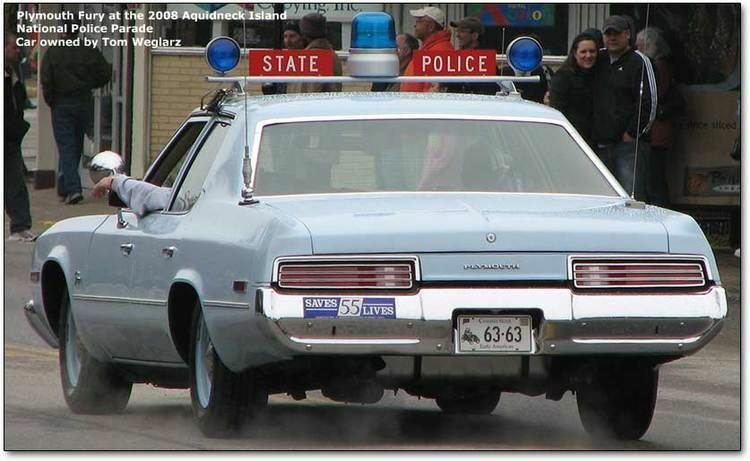 Prior to the 1973 take over it was supplied by Plymouth County Borough Corporation. Before the 19th century two leats were built in order to provide drinking water for the town. They carried water from Dartmoor to Plymouth. A watercourse, known as Plymouth or Drake's Leat, was opened on 24 April 1591 to tap the River Meavy. The Devonport Leat was constructed to carry fresh drinking water to the expanding town of Devonport and its ever-growing dockyard. It was fed by three Dartmoor rivers: The West Dart, Cowsic and Blackabrook. It seems to have been carrying water since 1797, but it was officially completed in 1801. It was originally designed to carry water to Devonport town, but has since been shortened and now carries water to Burrator Reservoir, which feeds most of the water supply of Plymouth. Burrator Reservoir is located about 5 miles (8 km) north of the city and was constructed in 1898 and expanded in 1928. Plymouth City Council is responsible for waste management throughout the city and South West Water is responsible for sewerage. Plymouth's electricity is supplied from the National Grid and distributed to Plymouth via Western Power Distribution. On the outskirts of Plympton a combined cycle gas-powered station, the Langage Power Station, which started to produce electricity for Plymouth at the end of 2009. Plymouth is served by Plymouth Hospitals NHS Trust and the city's NHS hospital is Derriford Hospital 4 miles (6 km) north of the city centre. The Royal Eye Infirmary is located at Derriford Hospital. South Western Ambulance Service NHS Foundation Trust operates in Plymouth and the rest of the south west; its headquarters are in Exeter. 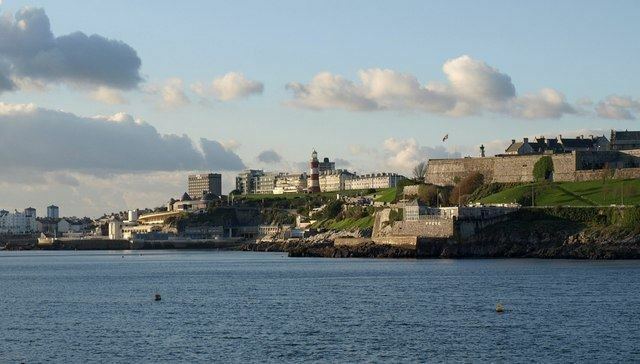 After the English Civil War the Royal Citadel was built in 1666 on the east end of Plymouth Hoe, to defend the port from naval attacks, suppress Plymothian Parliamentary leanings and to train the armed forces. 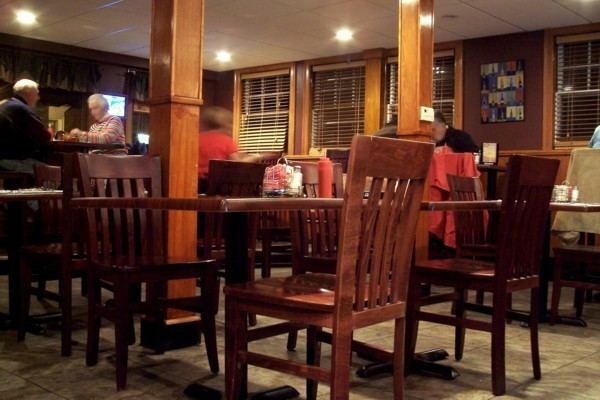 Guided tours are available in the summer months. Further west is Smeaton's Tower, which was built in 1759 as a lighthouse on rocks 14 miles (23 km) off shore, but dismantled and the top two thirds rebuilt on the Hoe in 1877. It is open to the public and has views over the Plymouth Sound and the city from the lantern room. Plymouth has 20 war memorials of which nine are on The Hoe including: Plymouth Naval Memorial, to remember those killed in World Wars I and II, and the Armada Memorial, to commemorate the defeat of the Spanish Armada. One mile (two kilometres) upstream on the opposite side of the River Plym is the Saltram estate, which has a Jacobean and Georgian mansion. People from Plymouth are known as Plymothians or less formally as Janners. Its meaning is described as a person from Devon, deriving from Cousin Jan (the Devon form of John), but more particularly in naval circles anyone from the Plymouth area. Antarctic explorers Robert Falcon Scott and Frank Bickerton both lived in the city. Artists include Beryl Cook whose paintings depict the culture of Plymouth and Robert Lenkiewicz, whose paintings investigated themes of vagrancy, sexual behaviour and suicide, lived in the city from the 1960s until his death in 2002. Illustrator and creator of children's series Mr Benn and King Rollo, David McKee, was born and brought up in South Devon and trained at Plymouth College of Art. Jazz musician John Surman, born in nearby Tavistock, has close connections to the area, evidenced by his 2012 album Saltash Bells. The avant garde prepared guitarist Keith Rowe was born in the city before establishing the jazz free improvisation band AMM in London in 1965 and MIMEO in 1997. The musician and film director Cosmo Jarvis has lived in several towns in South Devon and has filmed videos in and around Plymouth. In addition, actors Sir Donald Sinden and Judi Trott. George Passmore of Turner Prize winning duo Gilbert and George was born in the city, as was Labour politician Michael Foot whose family reside at nearby Trematon Castle.